When you stay at Magic Moment Resort and Kids Club in Kissimmee, you'll be on the Strip, within a 10-minute drive of Old Town and Medieval Times. This family-friendly hotel is 3.6 mi (5.8 km) from Walt Disney World® area and 5.5 mi (8.9 km) from Walt Disney World® Resort. Make yourself at home in one of the 170 individually decorated guestrooms, featuring refrigerators and minibars. Your pillowtop bed comes with down comforters and Egyptian cotton sheets. 39-inch flat-screen televisions with cable programming provide entertainment, while complimentary wireless Internet access keeps you connected. Private bathrooms with shower/tub combinations feature designer toiletries and hair dryers. Don't miss out on recreational opportunities including an outdoor pool and a 24-hour fitness center. This hotel also features complimentary wireless Internet access, concierge services, and an arcade/game room. If you're planning a day at a nearby theme park, you can hop on the complimentary shuttle. Featured amenities include a business center, a 24-hour front desk, and multilingual staff. Planning an event in Kissimmee? This hotel has 800 square feet (74 square meters) of space consisting of conference space and a meeting room. 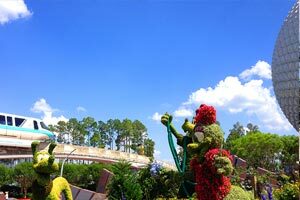 The preferred airport for Magic Moment Resort and Kids Club is Orlando, FL (MCO-Orlando Intl. ).